This was a very quick sketch. I liked the forms created by the woman’s top. Larger planar areas are much easier to shade than crowded little areas that comprise a face. 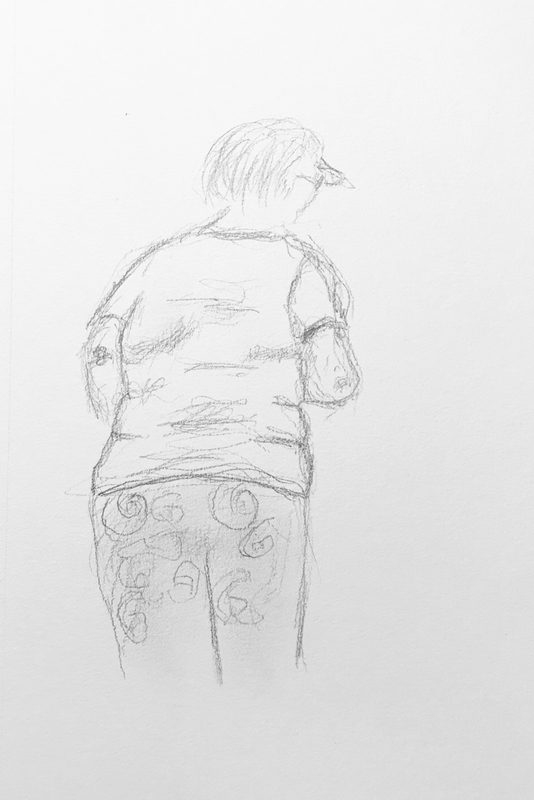 This entry was posted in Personal Stories and tagged artistic process, creativity, drawing, figure drawing, pencil sketch, portrait, shading, sketch, visual art, visual arts. Bookmark the permalink.